There are two unhappy women occupying newspaper space this morning – one English, the other Irish. Both are politicians and the political road ahead of both looks full of pot-holes and maybe bottomless pits into which they could easily fall.If I’m honest, I have more sympathy for the Irishwoman than I do for the English one. 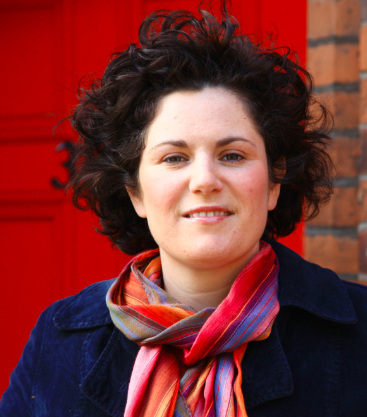 Claire Hanna is the Irishwoman and she gets to write a column headed ‘SDLP will be the loser in merger with Fianna Fáil.’ You might consider this a case of stating the bleeding obvious, but that’d depend on where you start from. It could be that those in the SDLP who are in favour of a merger (but, like St Augustine and purity, not just yet) see their party’s situation as so dire, there is no way to go but up. Faced with this existential threat, it is eager to grasp at any vaguely helping hand, even if it’s attached to Micheál Martin. But regardless of the reasons, Claire wants no part of a clinch with Fianna Fáil: ”It would curb our potential appeal to voters”, she says. It would also make it impossible for the SDLP to dispense its favours to the highest bidder. If you’ve shacked up with one southern party, you’ll have locked the door on other parties who might want to get to know you better. Claire Hanna has my sympathies. She’s the one SDLP voice I’ve heard that has spoken out against this slow glide into the arms of Fianna Fáil, and she’s right that the merger would just about gobble up her party. Unfortunately, if it doesn’t do something equally dramatic and chooses to stay in its present form, it’s going to be left to die at the side of the political high road. The Englishwoman getting the headlines is – you don’t need me to tell you – Theresa May. She was in Brussels yesterday, and there are all sorts of photographs of her shaking hands coldly with the various head honchos of the EU. And in addition to the icy hand, she gave them an earful over Donald Tusk’s remarks about purblind Brexiteers heading for a hot corner of hell . It shows you the state of desperation into which the Tory party is sinking, that such close attention is given to the body language of the leader of the Tory party. The economic house is about to be pulled down around her, and all attention is focused on whether Theresa May’s public sulk was a strong enough response to insults directed at purblind Brexiteers. 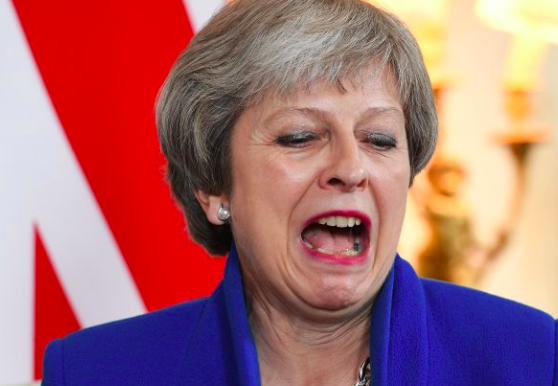 Yes, this did-she-smile-was-she-truly-frosty is more fun and easier to follow than the endless twists and turns as the UK struggles to extract itself from the EU; but wouldn’t it be better to be at home working out ways of leaving less blood on the carpet when this divorce is finalized than pulling faces in Brussels? Probably. But then the Tory party has never been famous for anything involving the frogs of Europe or the paddies of Ireland. The combination of the two would appear to have driven that party irredeemably mad. Which is probably what Claire Hanna thinks is happening to her party.